Beautifully crafted solar Lamps to give quality performance year after year. 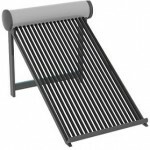 These are manufactured from best of materials, and reach you after stringent quality control. 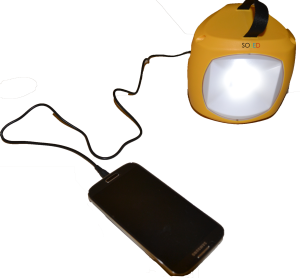 This Solar Lamp comes with a mobile cable that can be used to charge your mobile phone also. 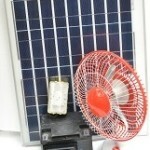 It is compatible with AC grid and can be charged with standard plugin point. 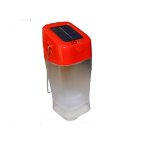 This solar lamp can be used for different purposes such as solar emergency light, reading light etc. 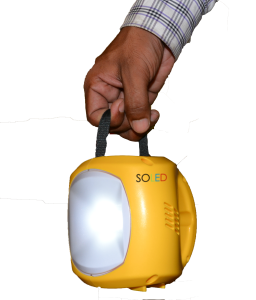 SOLED Solar Lamp comes with option of folding solar panel, so that you can carry the solar panel with you easily wherever you go. 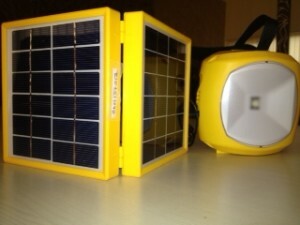 Take the solar lamp with you wherever you go. Easy USB cable option available to charge devices like iPod, iPad, mobiles etc. 3 levels of adjustable brightness. Need battery for long run? You can also charge using standard AC outlet. 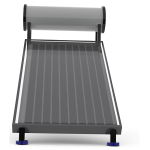 Optional uniquely designed solar panel that can be folded for easy travel. The solar lamp is water resistant and heat resistant. 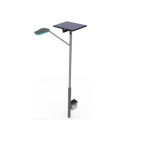 High powered solar lamp with different brightness and charging options. It can work as an emergency solar light or as a regular lamp.